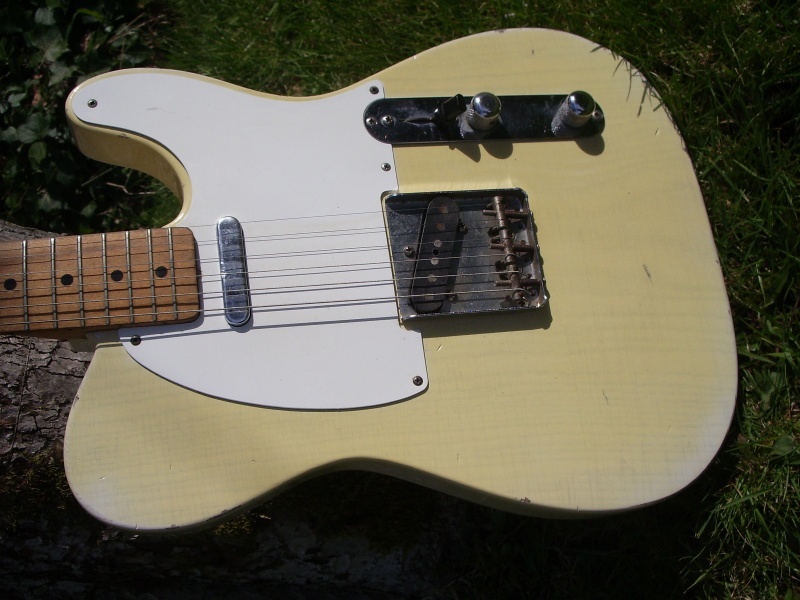 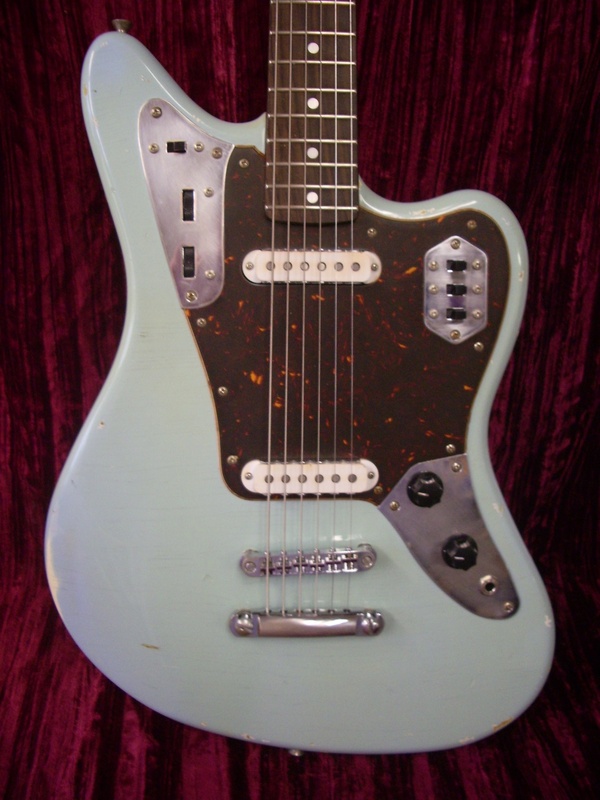 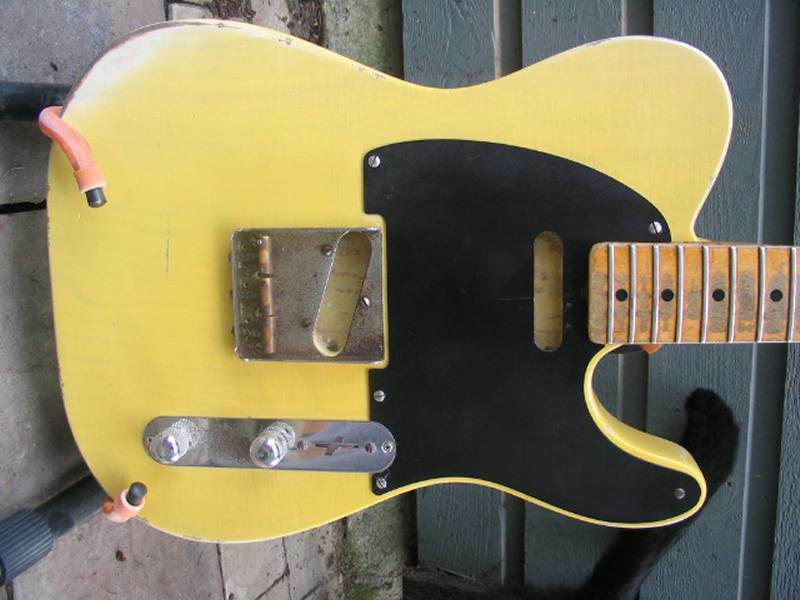 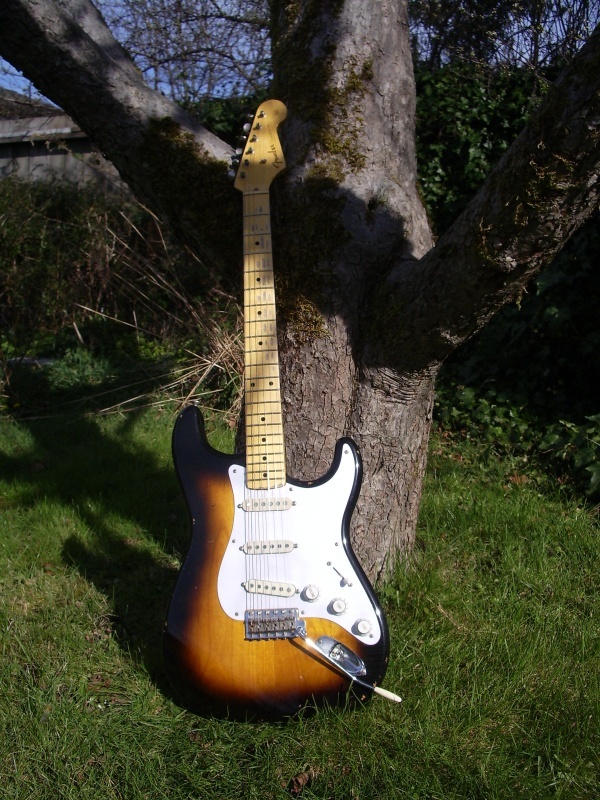 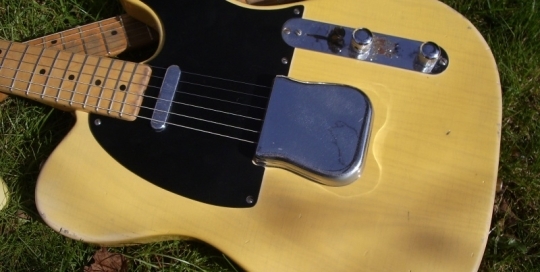 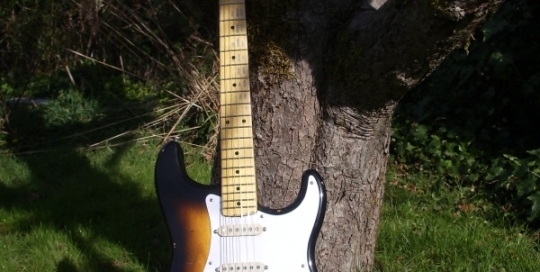 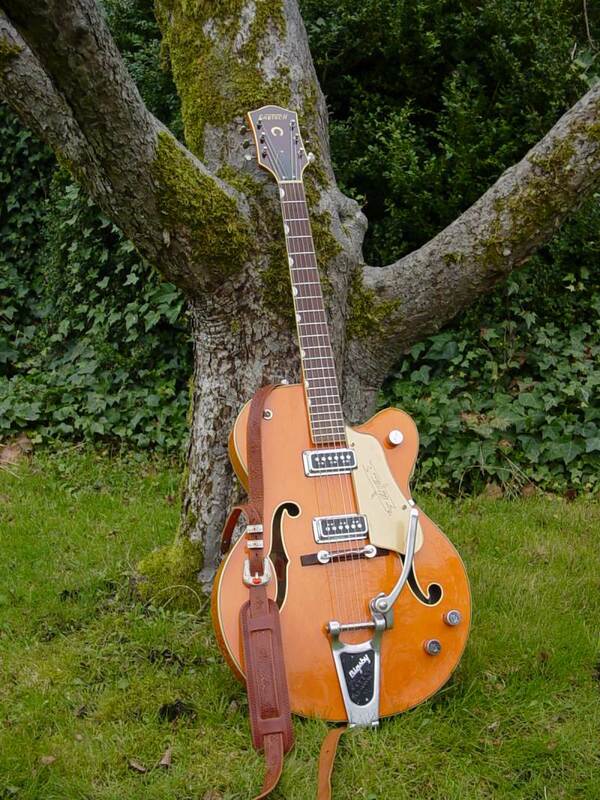 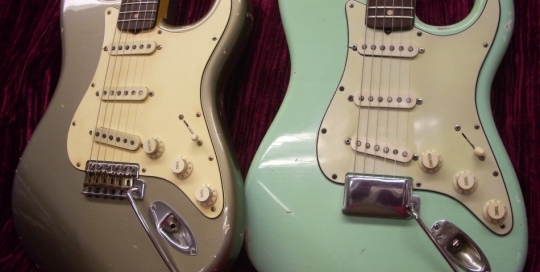 Here’s a 1950 Nocaster that we restored for our good friend Joe R. of Tacoma. 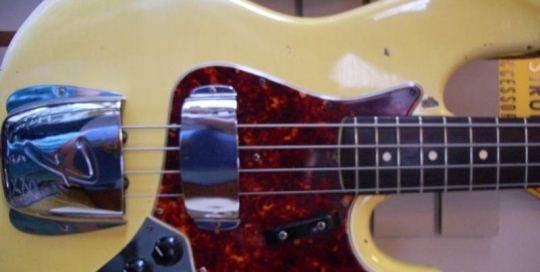 This is the oldest Fender I have worked on so far…I could almost feel the presence of Leo Fender peering myopically over my shoulder , saying ” Ah yes…I remember this one”!! 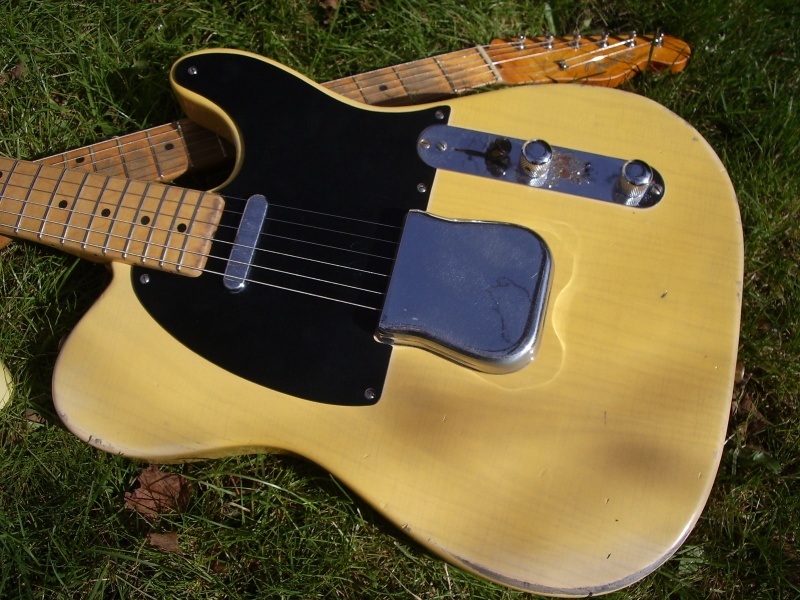 Here’s a 57 Tele we redid for all around great dude Martin D.
Moderate forearm wear and light checking make for a classic Tele look. 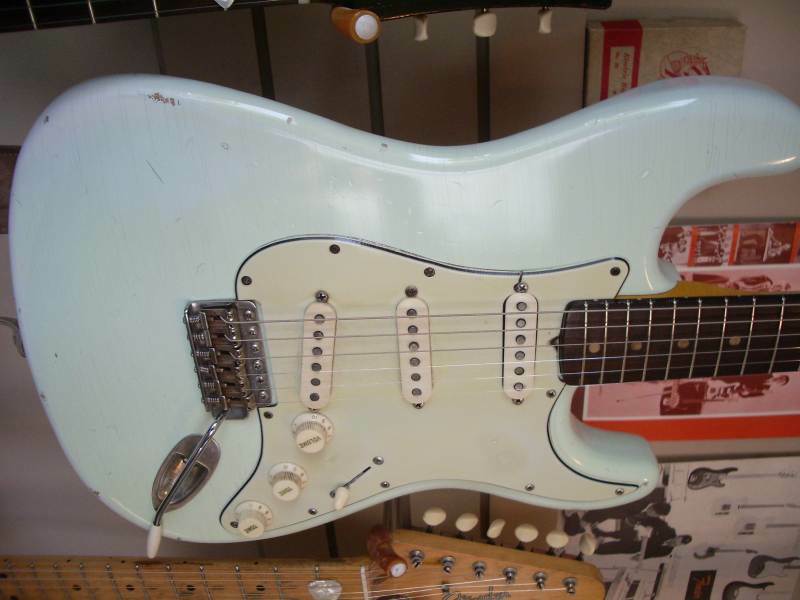 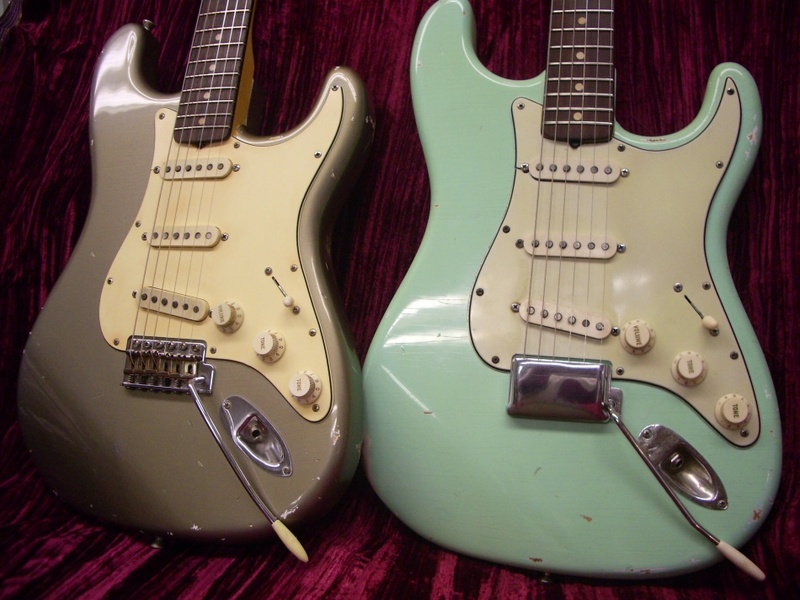 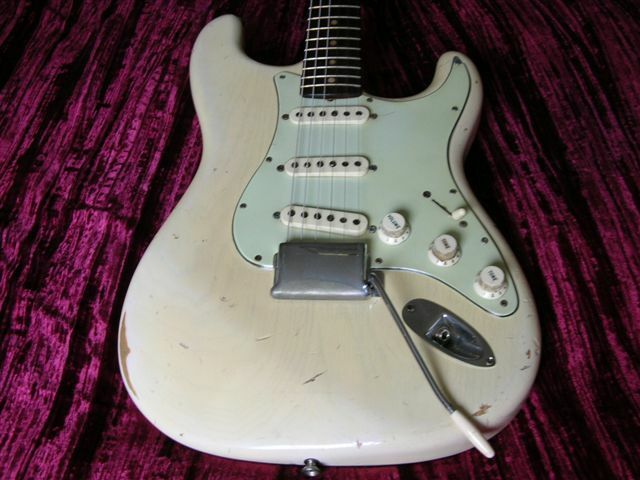 Here’s a 57 strat I restored for my friend Greg Johnson. 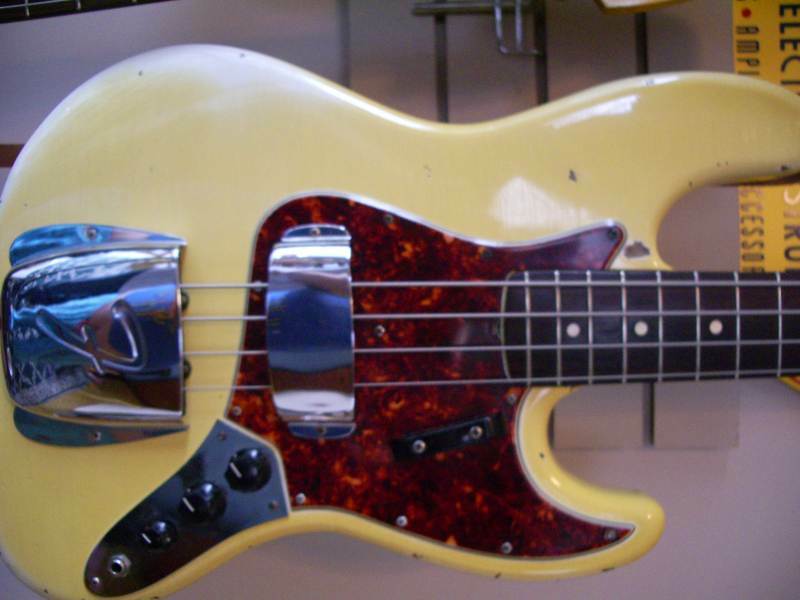 I bought this Jazz Bass from Southworth Music about 6 months ago. 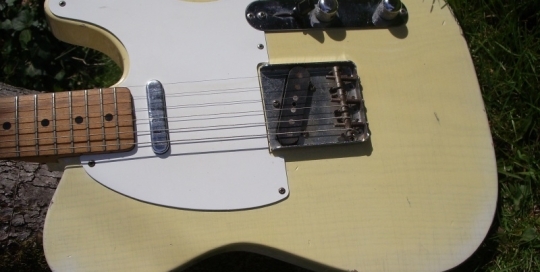 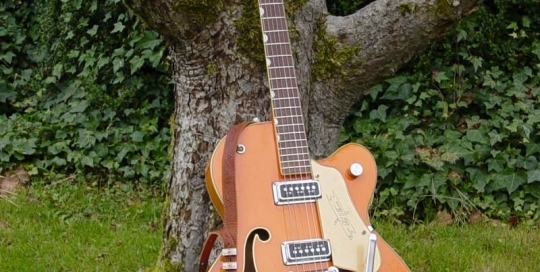 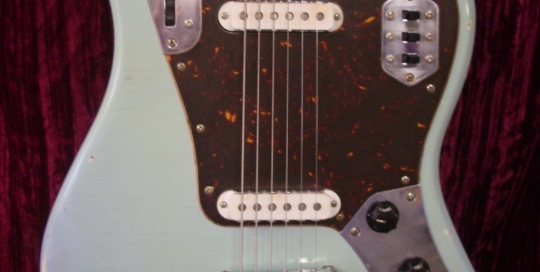 The headstock finish is an original heavily ambered Olympic White, but the body had been stripped and stained an ugly brown color. 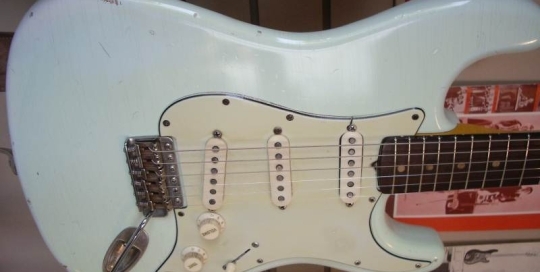 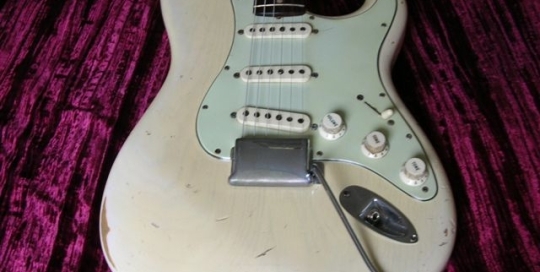 Wow, was this guitar a mess when it arrived! 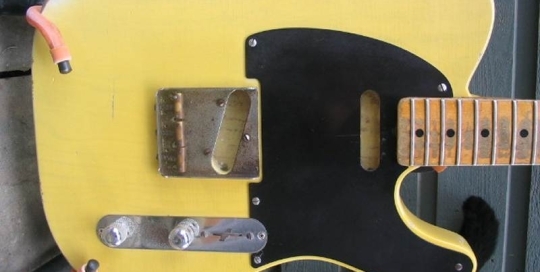 It had been sprayed with 30 coats of poly back in the 70’s, and the finish was a full 1/16th of an inch thick!